As a part of University of Delhi’s Republic Day gift, the backlogs of all students from their previous university examination will be removed, with effect from the November-December 2017 semester exam results. 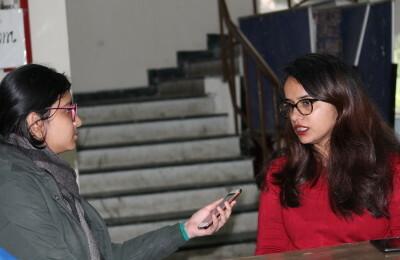 In an attempt to pacify the increasingly growing crowd of students failing, the Executive Council of Delhi University came up with the idea of clearing the pending backlogs of students from the immediately preceding semester. Following this declaration on Monday, some students were seen rejoicing the decision, while others were visibly distressed about the unprecedented spike in marks and subsequent competition this decision would bring. However, after probing into the matter, DU Beat found that this decision is not devoid of conditions. A student can only clear his/her backlogs provided the attendance in that particular subject in the last semester exceeds 85%. The rationale employed behind this is to credit the daily commitment of the few students who are willing to work, and despite of their hard work are unable to perform well in the university examinations. The backlog would be cleared and the student would be given a 4 grade point for that subject, that is, the minimum passing marks. This move has received flak from the student community and teachers alike, and has necessitated an urgent inquiry by the Human Resources ministry into the underlying facets of the Delhi University examinations. Radhika Boruah, a student majoring in Economics at Daulat Ram College has objected to this resolution. She has asserted that this step disregards a bright student’s efforts and places them in the same category as those who are less deserving. On the other hand, Niharika Dabral, a student at Cluster Innovation Center (CIC) has contended that this opportunity is available to those who genuinely put efforts into studying and still are not able to score as much, or fail because of unforeseen circumstances. Since this rebound is available only to a selected few, it is bound to create hullabaloo in the University campus. North Campus was seen brimming with protests demanding a roll back of this sudden “gift”. Many student political outfits have lead protests and have roped in teachers’ associations as well. Delhi University Teaching Staff (DUTS) has lent its support for these protest marches and have written to the Executive Council to demand an urgent probe into the matter. Desh Singh, a member of DUTS has also sent a written appeal to the concerned government officials. He has stated that this is a mala fide attempt by the DU officials to appease to the student masses and not aimed at their actual benefit. DU Beat tried reaching out to these officials to no avail. Considering the current heated atmosphere, there is high likelihood that the government will force DU to roll back this decision, or clarify the contents of this “gift” on an urgent basis. *Disclaimer: Bazinga is our weekly column of almost believable fake news. It is a humorous, light hearted column that should only be appreciated and not accepted.